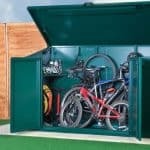 Never worry about your bikes again! 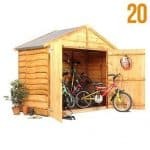 Investing in this bike store means you can safely stash away your family bicycles (fits up to 4 road or mountain bikes) and not worry about them until you need to go for a ride. 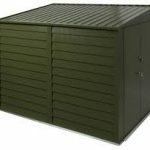 This is constructed from thick, heavy gauge galvanised weather proof steel panels and a strong metal floor and there is a good ventilation system to protect your bikes from condensation. 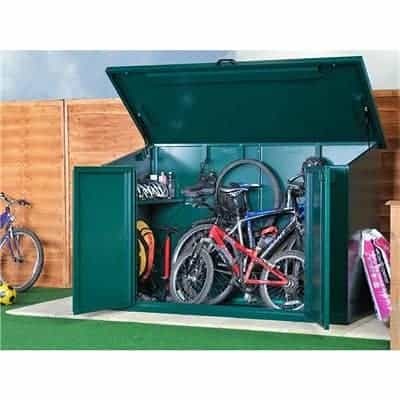 You can reach your bikes through the top lid or the double doors so you always have easy access and the security is second to none with two external locking points. A must for any bike enthusiast! 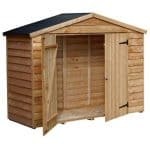 I can easily fit my family’s bikes in this. I don’t have a big family so it was easy for me to stick them all in there. There is a corner shelf that you can put little things that you would need. Maybe helmets or air for the tires, or othe rbike accessories. 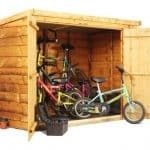 It was worth the buy though because I didn’t want to leave the bikes out and it is the perfect size to set up outside. It doesn’t take up much room. The price isn’t too bad if you think about the material that is used and how protected your bikes will be.